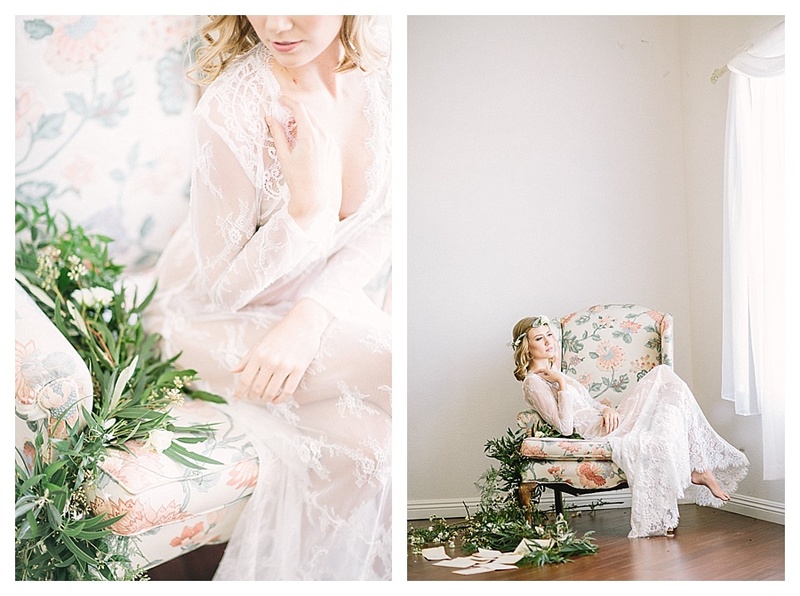 This is hands down one of our favorite bridal boudoir styled shoot at The Loft. I mean, just look at those details! All the lace + lush florals + gorgeous model + beautiful natural light = a quadruple win! The vintage accents send this styled shoot over the top! We loved the addition of the antique wood framed window peaking into some of these shots, and the perfectly weathered letter that we can only assume was a love note from someone special. With styled bridal boudoir shoots as feminine and gorgeous as these, who says they just have to be for your partner? We’re thinking personal gift! Really though, who wouldn’t want to dress up in lace all day?